Fun, lively, entertaining songs you know and love. Available for restaurants, private parties, lounges and cruise ships. Pop and rock songs you can sing along or dance to. Sixties and seventies radio hits. 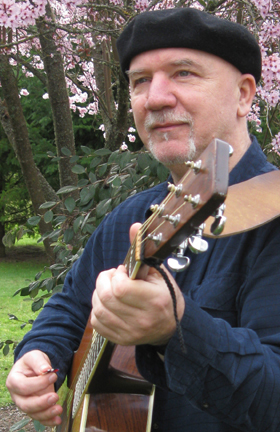 Michael Sheehan is a guitar-playing singer-songwriter who loves to play sixties pop and rock favorites. Sprinkle in a few songs from the late fifties and early seventies and you've got yourself a party! Michael frequently played coffee houses, bohemian venues and outdoor festivals in the Seattle area until moving to Whidbey Island in 1992. Continuing to gig as a solo artist at local restaurants and house parties on Whidbey Island, Michael was also a member of Whidbey's premier dance band, Locomotion. In 2012, Michael moved to Hillsboro, Oregon. He continues to perform while writing a book and composing music for solo piano. Call Michael at 503-380-2817 or click email.